After setting up your WordPress site successfully, you should now focus on improving the volume and the quality of website traffic. There are many ways of driving traffic to your site that include; paid traffic, social media marketing and search engine optimization. I would like us to focus on search engine optimization as a way of growing the volume of your organic traffic. Search engine optimization is the process of improving your site ranking in search engines like Bing, Google and Yahoo. SEO is broadly categorized into on-page search engine optimization and off-page search engine optimization. I will share with you the best practices for WordPress on-page SEO; these tips should help you increase volume of organic traffic in your site. What is WordPress on-page SEO? WordPress on-page SEO is improving pages and posts in your WordPress site for focus keywords that you intend to increase search engine visibility. The focus keywords can be single word keywords or keyword phrases. Each post or page published on your site has the potential to rank to position #1 in search engines like Google if it is properly optimized. On-page search engine optimization includes a number of things that we need to focus on as we publish each post and page in WordPress. Add focus keyword in posts’ and pages’ titles and place the keyword as close as possible to the start of the title. Ensure the keyword density in your post ranges from 1% - 2.5%, keyword density should never go above 2.5%. Ensure you have the focus keyword in the headings 1 to 6 (H1-H6), using these headings improves the SEO structure of your page. Add alt tag to all images that are in your WordPress post and ensure the alt tags have the focus keyword. The images should also be named properly to include your focus keyword. Write long posts that are at least 1000 words and above. The longer the post the more useful to the audience and the better it ranks in search engines. Ideally, I recommend you have posts that have a minimum of 500 words. Keyword placement in the text should appear in the first 100 words in your WordPress posts. It is also useful to have the keyword placed in the last paragraph of your post. Internal links should be abundant in your WordPress posts and pages. You should use the WordPress link feature to add relevant internal links to other posts in your site. Add at least one relevant high authority outbound link. This is important as a way of adding reference to your content. You should ensure this link to a high authority page like Wikipedia is a do follow link. All other external links from your site should be added a no follow link attribute. When I install WordPress for the first time, my immediate focus is usually on the permalinks. Permalinks should be set up immediately you install WordPress and before publishing any content. The reason why setting up permalinks is important is the fact that they tend to be very difficult to change in a later date. Most of the changed permalinks redirect to 404 pages something that can lead to an increase in your bounce rate. For years there has been this debate on the best structure of WordPress permalinks. While there have never been a clear winner of this debate; permalinks that allow you to have keyword have proven to be the best. My preference for permalink structure has either been ‘post name’ or ‘category and post name’. This is the most popular since it is SEO friendly unlike the default permalinks that have the page number and no keyword. 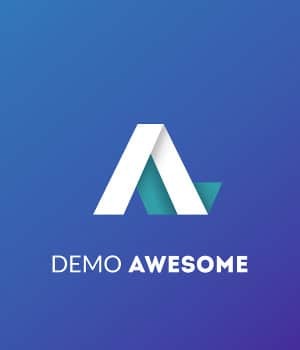 For this permalink structure, you only need to add the keyword in your post or page title and it will be automatically added to your permalink. 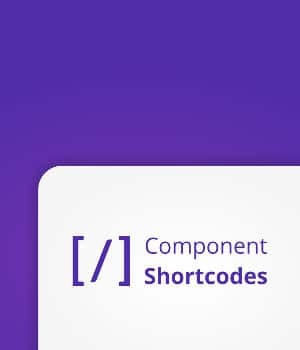 Category and post name is also another popular permalink structure that allows you to organize your site’s posts under main categories and have the category in the permalink. It is a good structure since it allows visitors to know their current location just like breadcrumbs do. This is the second step I take to optimize my new WordPress site since I want to invite the search engines to index my site as soon as I publish my first post. There are many free plugins to add Google Webmaster tools as well as Bing but I find Yoast SEO plugin to be what I need for all my on-page SEO tasks. 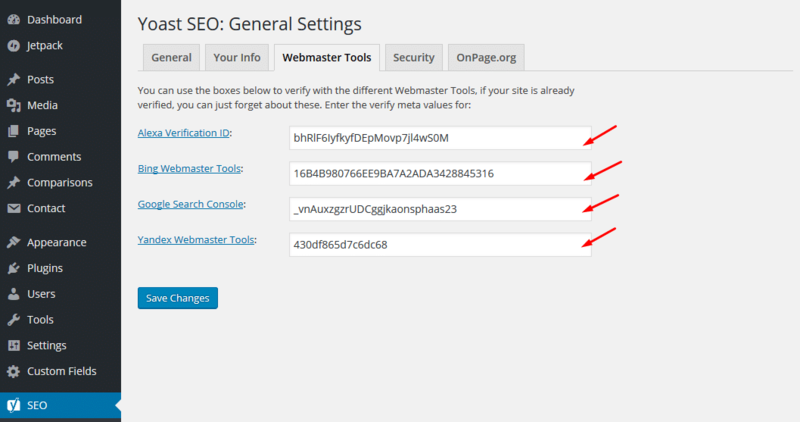 To linkup Google Webmaster tools just signup on Google, add the site then generate the Meta tag and under Yoast SEO General Settings > Webmaster Tools. You can add Google Webmaster tools Meta Tag, Bing metatag, Alexa Meta Tag and Yandex. This allows search engine spiders to start crawling your site regularly and consequently you get listed in these search engines. Yoast Plugin also allows you to generate XML sitemap and add it to your Webmaster console. 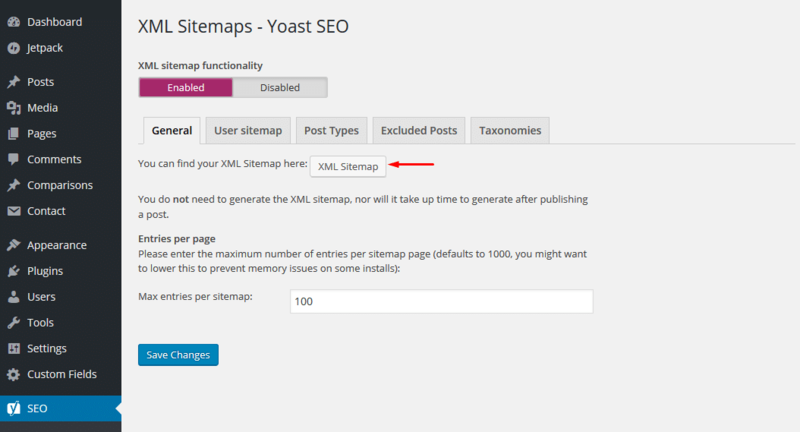 To generate a sitemap you should navigate to XML sitemap settings under Yoast plugin menu. Click on the option to generate sitemap and submit it to Google, Bing and other search engines for indexing. Another common tip of ensuring you notify search engines whenever you publish a WordPress post is to add a ping list. By default WordPress notifies the ping services when you publish a new post but you can add on this list to add more services that should be notified. To add more ping services, you should search the web for the best WordPress ping list and add them to your site. To add them you should navigate to WordPress Settings >Writing and paste the URLs on the provided space for adding more ping services. 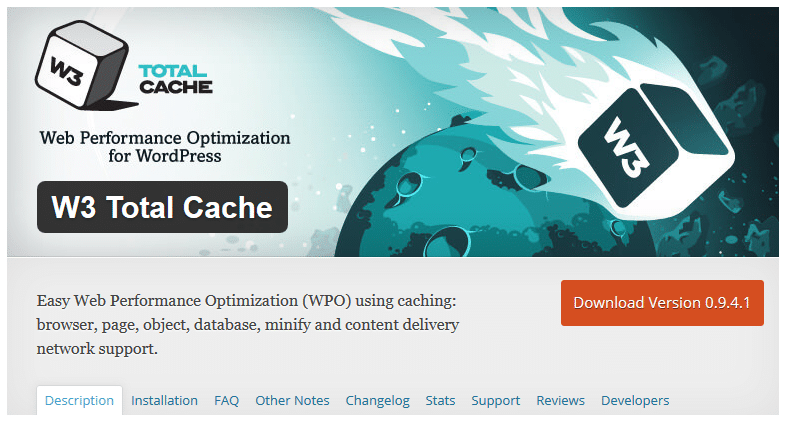 You should also consider improving the speed of your site using caching plugins. The best caching plugin out there is W3 Total cache that has advanced features to help speed up the loading of your site. You can also use this plugin to link to a content delivery network and greatly improve your site loading speed. From an SEO perspective adding a caching plugin is very important since it helps to significantly reduce the site load time. You can also add a plugin like WP Smush to help reduce your image sizes and improve performance. Finally, the most important step in WordPress on-page SEO is publishing content. There are dozens of plugins that can help in optimizing individual WordPress posts but Yoast SEO plugin is the best for the job. To use Yoast for single page optimization, you should begin by identifying the focus keyword you want to rank for. You should write your post and ensure you include this focus keyword so that you attain a keyword density that ranges from 1% to a maximum of 2.5%. You should strategically place the keyword within the content without forcing so that the context flows naturally. 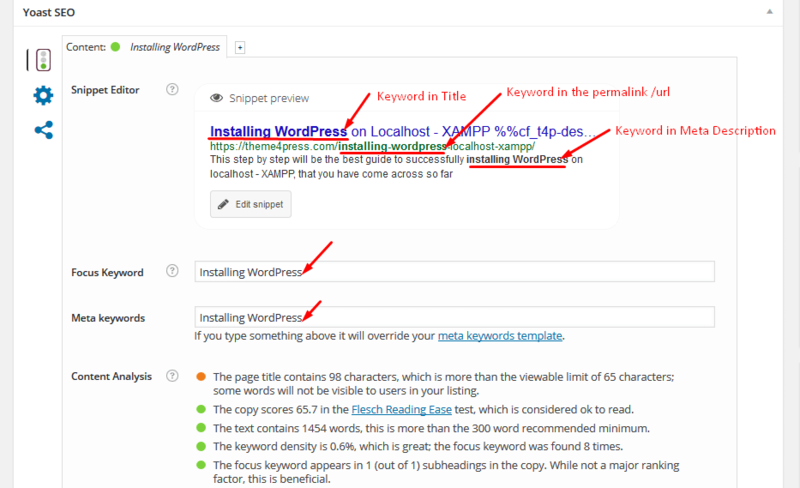 Example: In my previous tutorial on Installing WordPress on Localhost –Xampp, if I wanted to rank for the keyword ‘installing WordPress’ I would make it my focus keyword. We should now place the focus keyword in the post title, Meta description, image alt tags, H1- H6 and ensure the keyword density in the post is between 1% - 2.5%. As you add the keyword you should ensure to check if the SEO status changes to green. Green shows the page is well optimized for search engines. You can vary the keyword to see which get the best SEO score before you publish the post. You should also ensure all the images including the featured image have the Alt tag set up. You can add the Alt tag as you publish the image on your post or can click on the image edit link to add the alt tag. 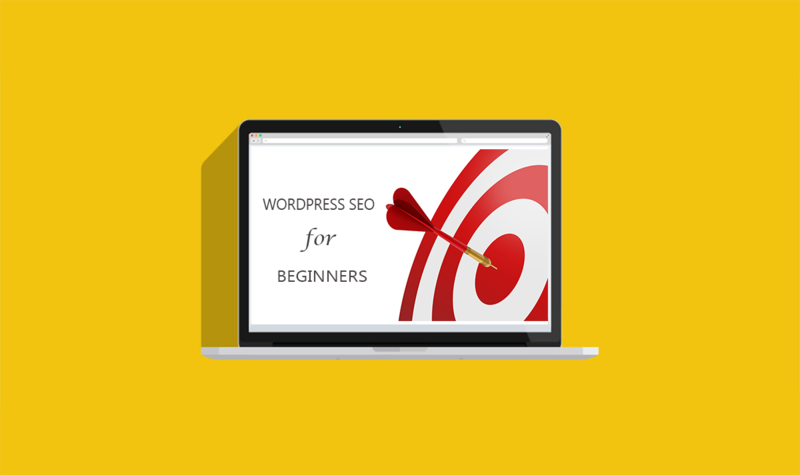 These are some of the best ways to begin your WordPress on-page search engine optimization. Although these are some of the best practices, the list of things to do is not exhaustive but your best guide should be to ensure each of the post and page you publish is well optimized for the focus keyword. Yoast is one of the many plugins that you can use to optimize the posts and pages. I hope this article helps you get started with on-page WordPress SEO, if you have any questions or additional comments feel free to share using the comments section below. This is the best article on wordpress On-page SEO,I have ever read. I’d like to say thanks to google which redirects me on this inportanrt page. It’s really really very wonderful and insightful post for the beginners.